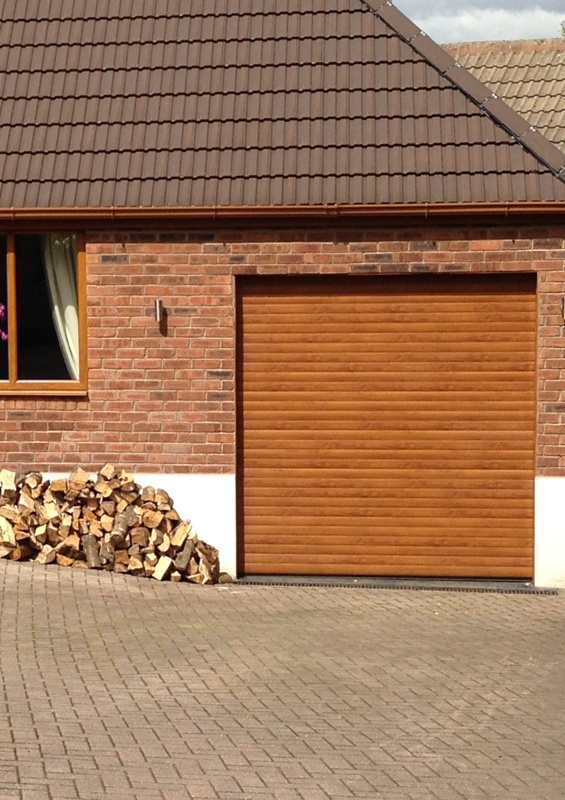 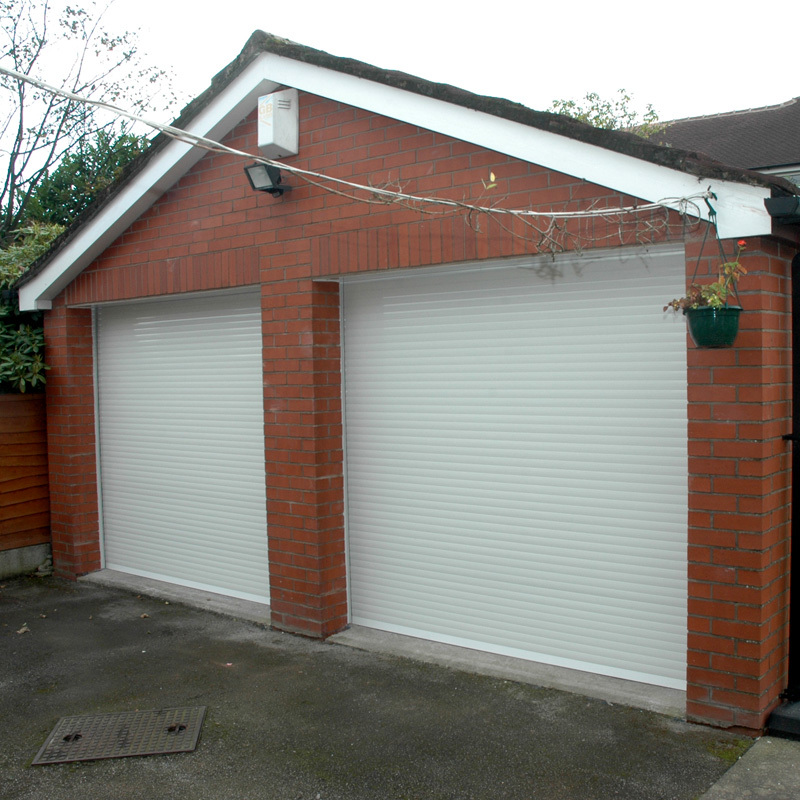 Roller Garage Doors combine the convenience of electric operation together with a vertical opening which allows you to park right up to the door and also frees valuable storage space inside the garage. 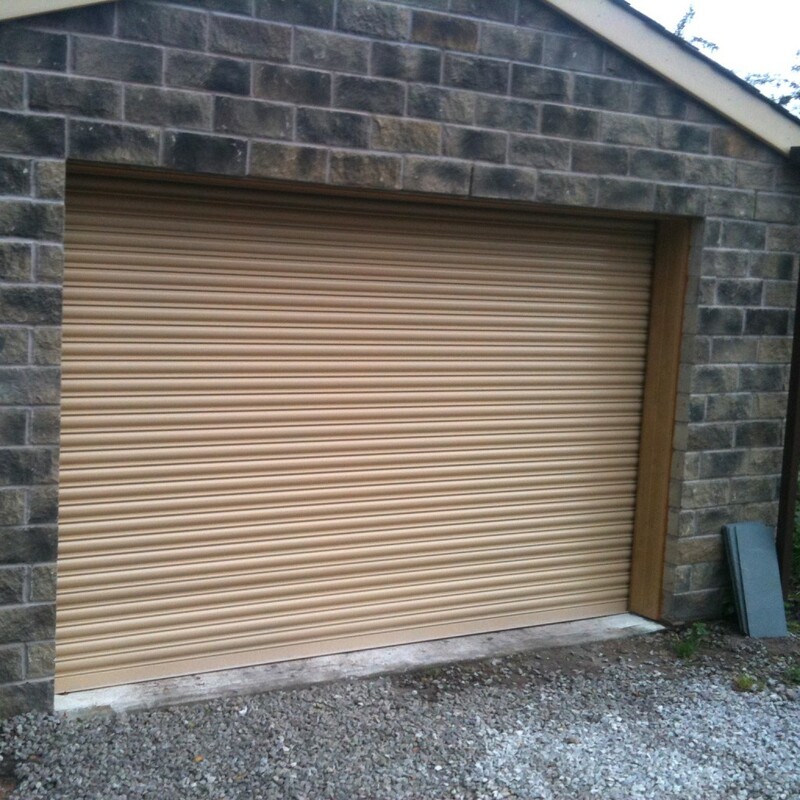 All our electrical roller garage doors are complete with 2 remote fob handsets, safety brake and manual override. 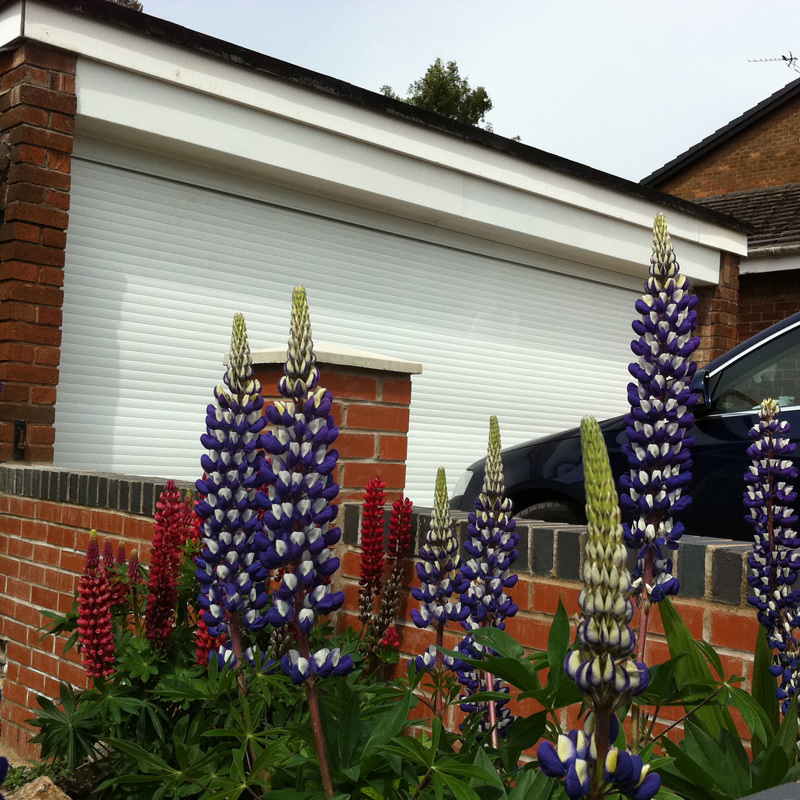 Optional extras include photocell safety beams, courtesy lights and crank handles. 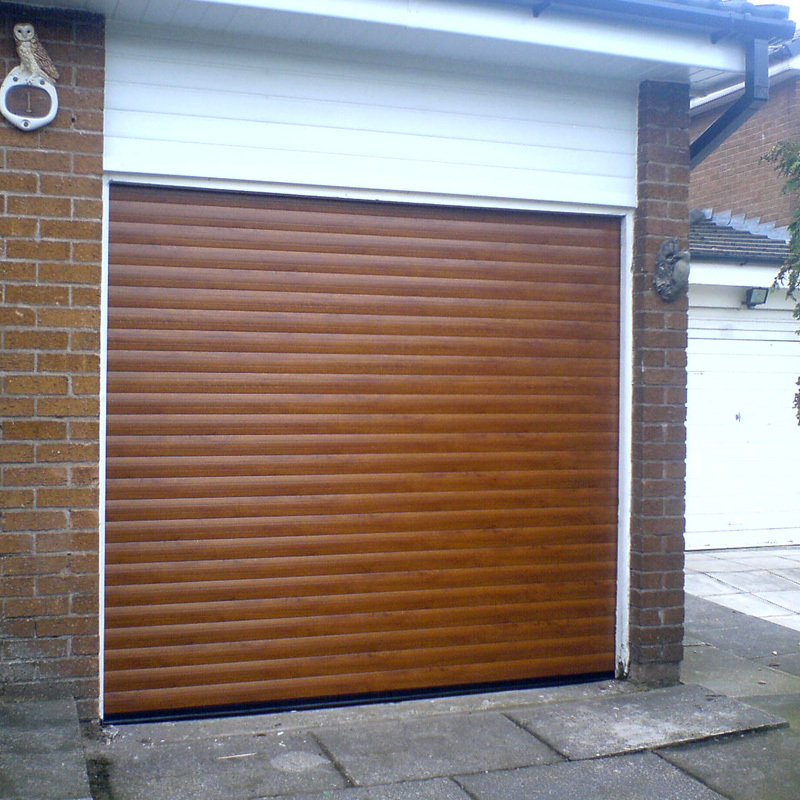 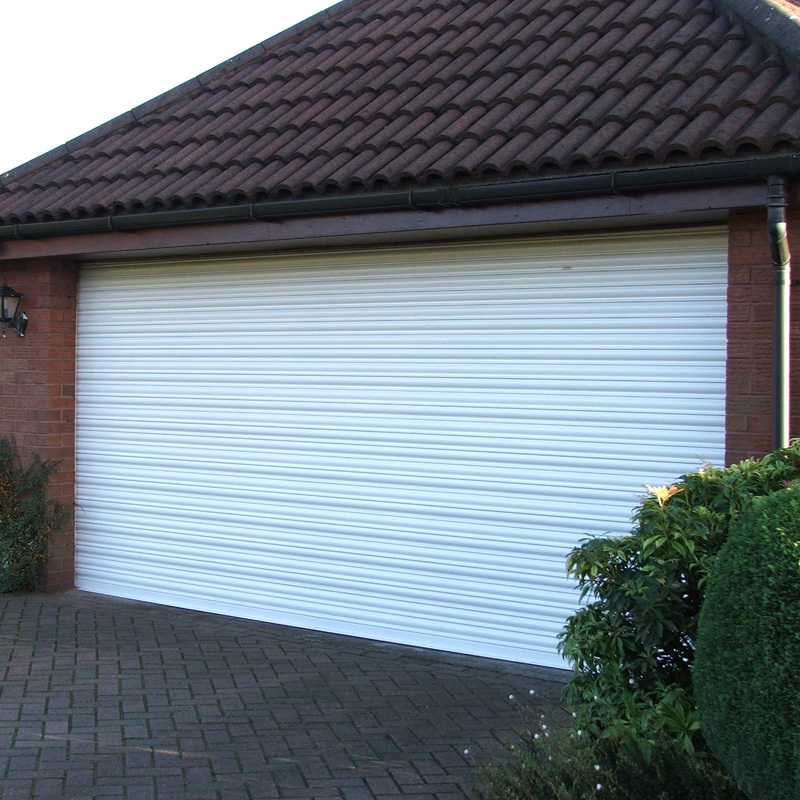 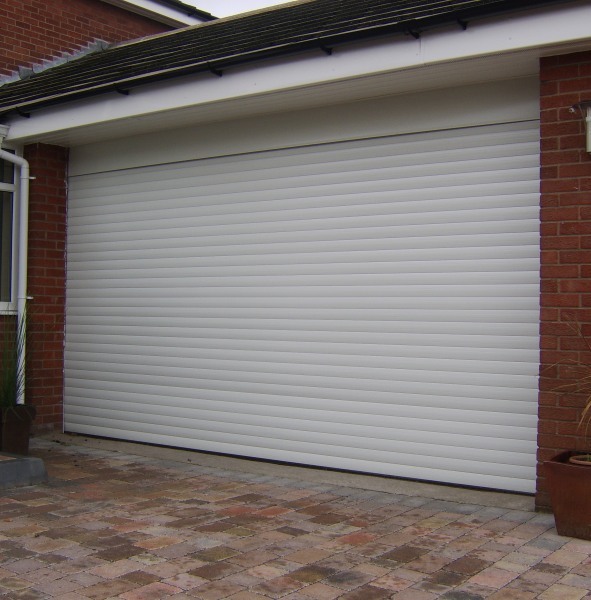 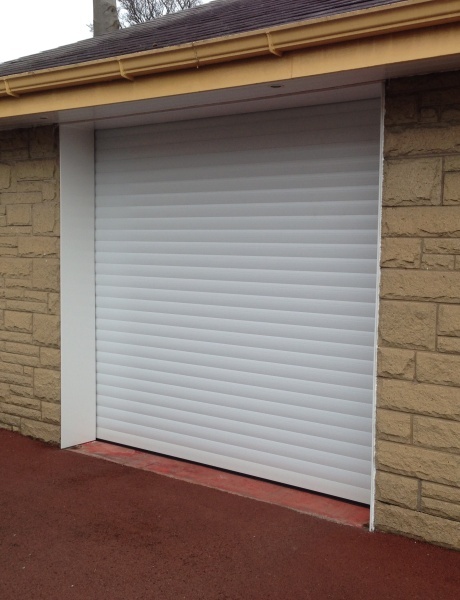 Steel Roller – This is the ultimate in security being the strongest type of door in our garage door range. 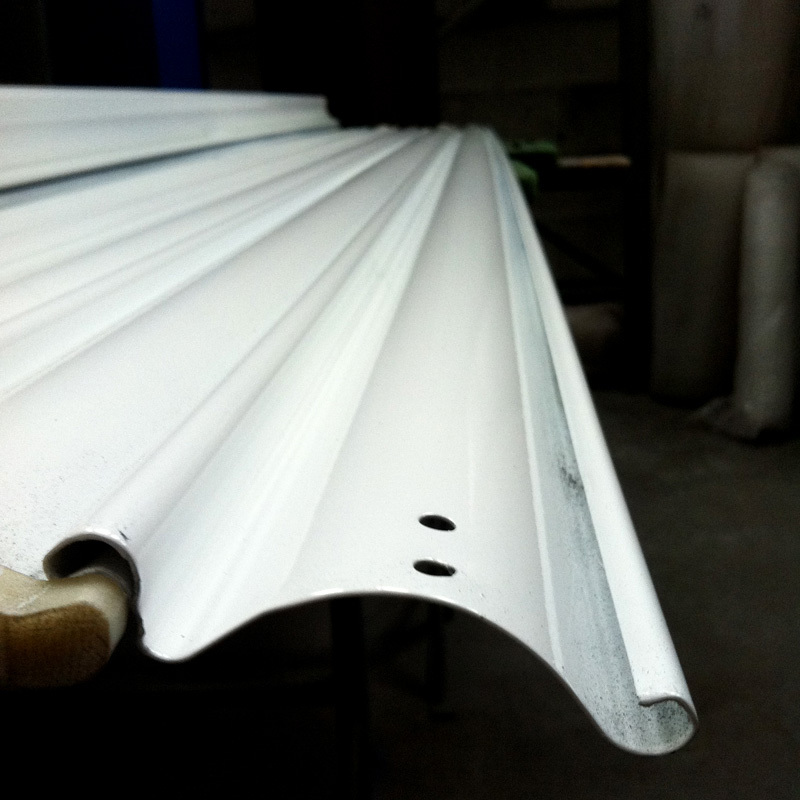 Fabricated from 3” curly galvanised lath complete with flags, guides and canopy. 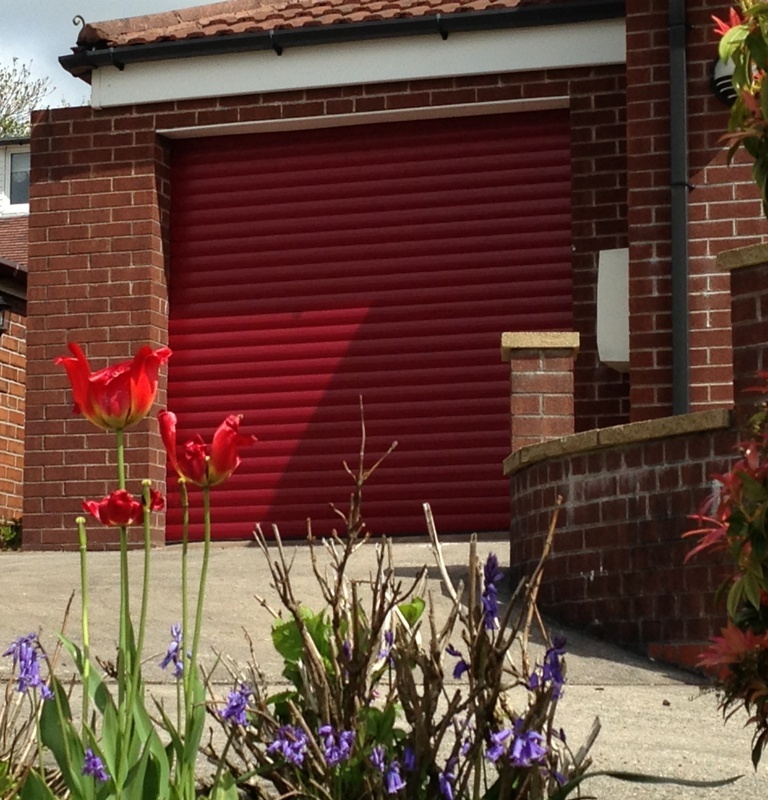 This type of door is made to measure and can be powder coated to any standard Ral colour. 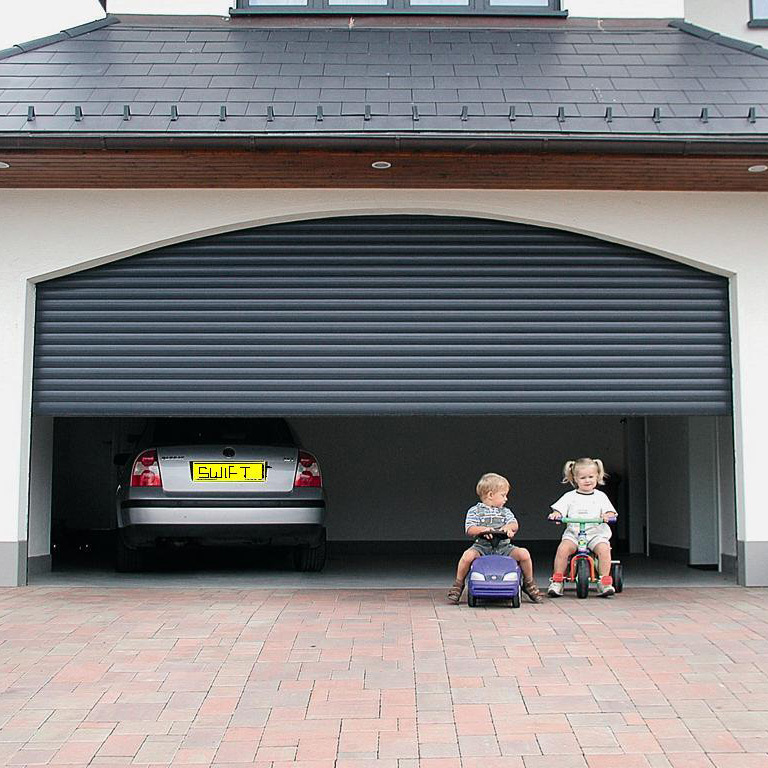 This garage door can be manual or electrical operation. 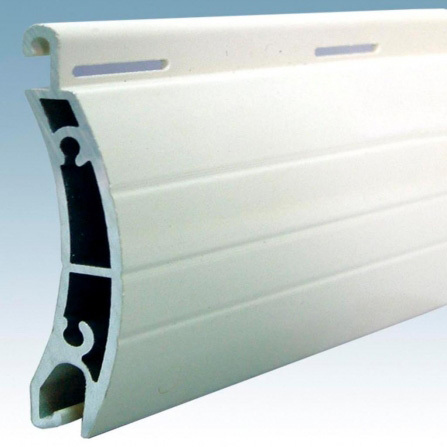 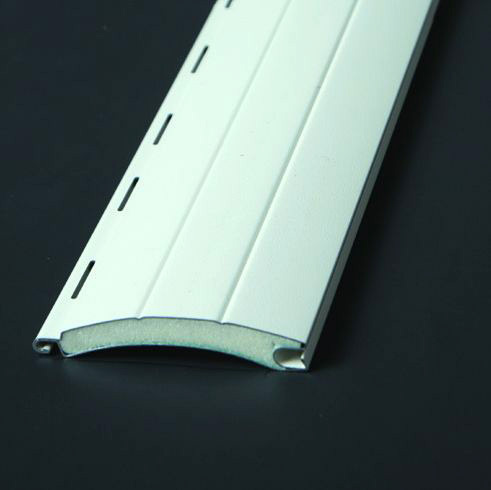 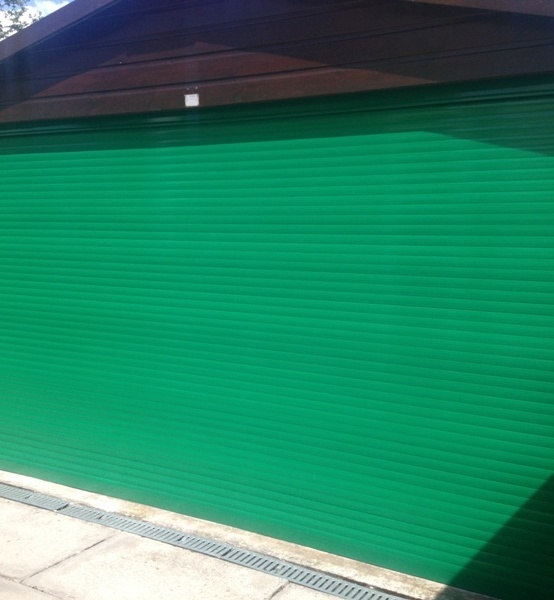 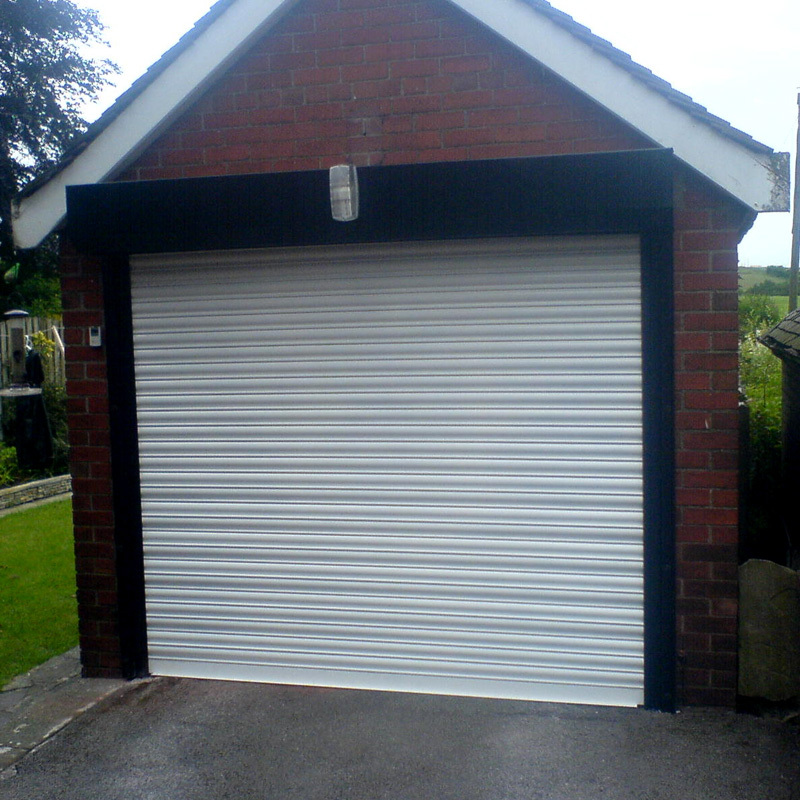 Insulated Roller – This roller shutter garage door is made to measure and is manufactured from corrosion-resistant aluminium with an insulated core, the external face of the door curtain is then coated with a hard wearing enamel which is available in a selection of colours, including wood grain effects. 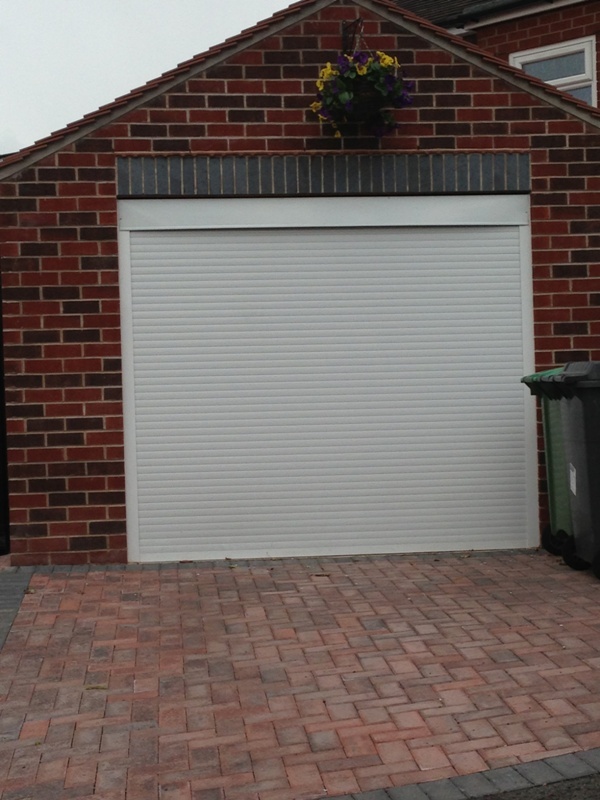 Extruded Roller – This roller shutter garage door is made to measure and has the benefit of a smaller shutter canopy for those garages with limited head room. 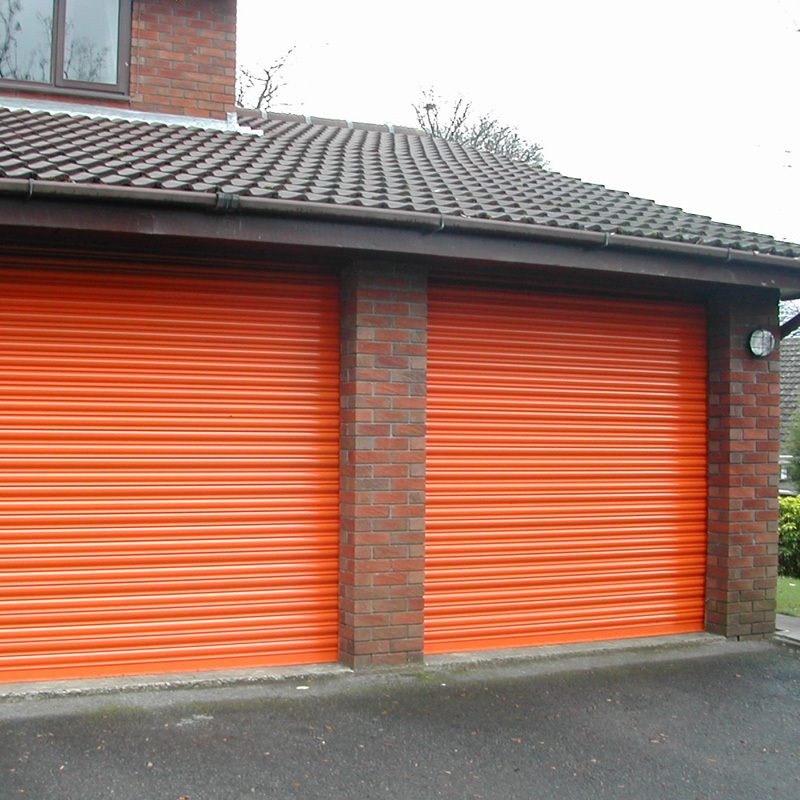 Its comes in a selection of colours.